Effective November 1, 2018, Google will need to target all new apps and updates for existing apps to Android 8.0 Oreo or later. This step means that developers behind many of your favorite apps are now trying to streamline their software while others are thinking of discarding obsolete apps altogether. Many apps have already been updated to address Oreo, so they can all use the new tools offered on devices running Android 8.0 or higher. To be clear, this does not mean that your apps will not work with older Android versions, but that they work better if you have a newer version like Oreo or Android Pie. So, if you want to know if your favorite apps are in danger of being abandoned, or if you just want to see which apps target Oreo, there's an easy way to find out. : Install AppChecker  Developer kroegerama has a deadly app that shows you which Android version your apps are targeting. Try AppChecker from the Google Play Store. 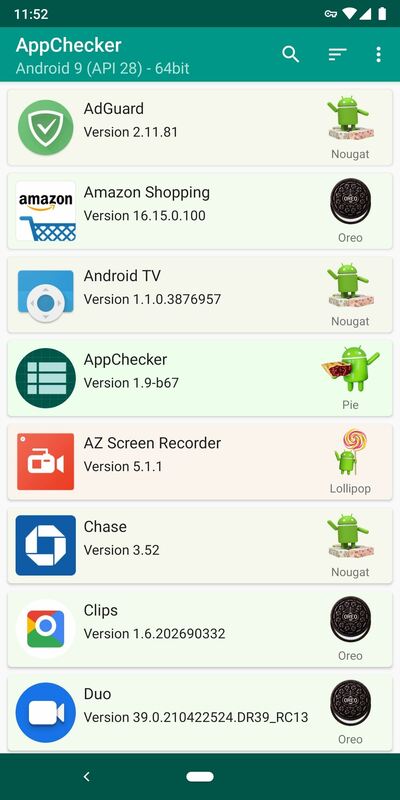 Open AppChecker and you'll see a list of all installed apps Next to each one is an Android logo with a version name below that indicates which version the app is targeted to. Android versions are named in alphabetical order, so compatible apps have either "Oreo" or "Pie" next to their entries. You can also tap on an app to see more details – the Target API field should have Oreo (26) or Pie (27). 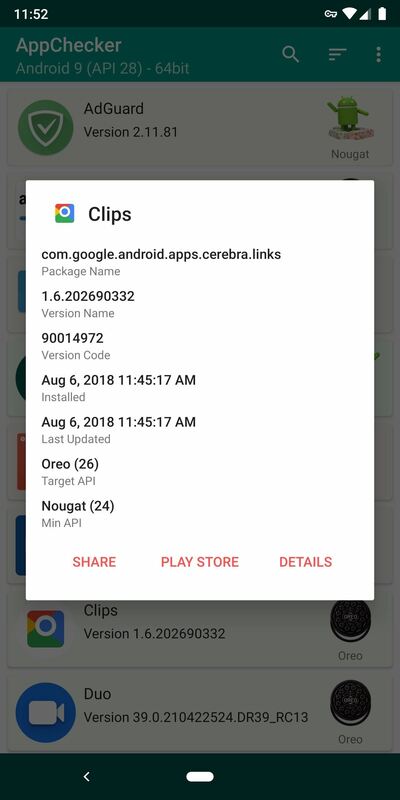 If an app does not target Oreo or higher starting November 1, Google will not allow the developer to release a new version of it Upload App to the Play Store. There are no exceptions to this rule, either the app has to be re-encoded to use new Android features, or it will simply stop receiving updates. The older the targeted Android version is, the more work a developer must do to get the app ready for the first of November. While a targeted version like Lollipop or Marshmallow does not necessarily mean the app has to be abandoned, this is a cause for concern, as this new rule was announced more than a year ago and the developer had plenty of time to put things right.